Mejuba is a free photo and video hosting, sharing, and management website. It offers unlimited storage with a maximum file size of 1GB. Everything is saved in the original format and is available for download at anytime with no throttling. My favorite feature is that your folder hierarchy will remain intact! 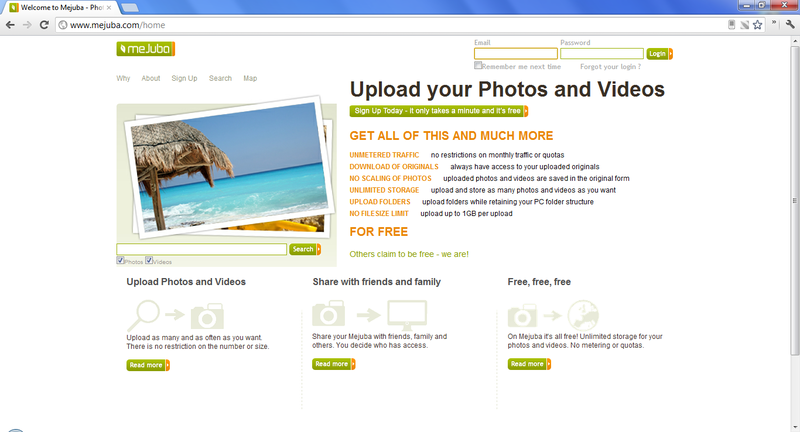 You can easily transfer your files from Picasa, Flickr, YouTube, and PhotoBucket.